Woolworths baby food: The Smiling Tums range has no added sugar. The new baby food range that answers our 'no added sugar' prayers. As a parent, life doesn’t stop. In fact, being a parent equals busy at a whole different level. The bonus is having a cute little human joining you in your daily tasks (as well as the adult human-sized bag you have to cart around with you to be equipped with all the necessities). ‘Mum/Dad Days’ are often loooooong, despite the cuteness, and can be quite hectic. There are commitments to keep, schedules to juggle, routines to establish and most importantly, fun to be had. Meal and snack times are a fundamental element of every day, no matter what is on the calendar. So, fellow parents of tiny human eating machines aged six months and over, we have news that might help. News that will fill their tummies (and nappies too… but let’s focus on the positives first!). There’s a new kid on the block in the baby food department, and it’s hitting Woolworths shelves right now. 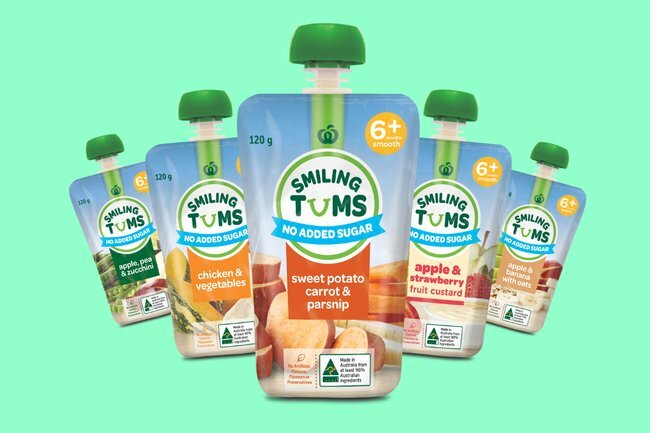 Yep, if you’re a parent on the hunt for convenient and tasty baby food with no added sugar, Woolies have listened to your prayers and launched a new range called Smiling Tums. 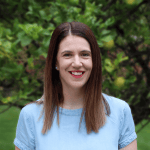 The sugar content is a clincher for so many of us nowadays, so it’s good to see that Woolworths Smiling Tums’ nine different products are naturally sweetened with fruit or veggies, just as Mother Nature intended. The range covers everything from fruit, veggies, proteins, breakfast, even snacking. There is an option for every meal time and everything in between. What excited me the most when I heard of this new range was the fruit custards. These are unique in the market as they are naturally sweetened with fruit, with no added cane sugar or fruit juice concentrates. These kinds of baby meals saves so much time, so you can really enjoy your adventures together and meal time too… not to mention reducing the time and energy exerted with the dreaded meal prep. Products like Woolworths Smiling Tums really alleviate some of the stress that comes with food prep and being a parent on-the-go. The convenience (it comes in a BPA-free pouch) is sure to please even the most discerning of parents and their little ones. It is the perfect size – you can even pop them in your handbag or (often overstuffed!) baby bag. The Woolworths Smiling Tums range, exclusively available at Woolworths won’t only bring a smile to your baby’s tum but to theirs and your face as well. Have you tried it? What does your baby like to eat? We understand how important a hassle free meal time is with your smiling bub. That’s why we’ve developed our Woolworths Smiling Tums baby food range. With No Added Sugar, the range is naturally sweetened with fruit or vegies and packed into convenient pouches - perfect to take on your adventures together.